The first week of July saw the return of Paul & Claire from their annual holiday in the UK and the first day back to work was straight in to high season and the follow on from a very busy June. With European school holidays taking place in July/August, it is a very busy time of year on Samui and usually the weather is fantastic, with calm seas and great visibility. Unfortunately July was a mixed bag of weather with quite a few storms around and some bumpy sea conditions but it's good to say that the visibility has been largely unaffected. There's been any, many black tip reef shark sightings at a variety of dive sites and even 2 guitar sharks were spotted out at Shark Island. We've had the odd turtle, lots of puffer fish, blue spotted sting rays and also a new sea horse out at Mango Bay. PADI Reactivate (Scuba Refresher) is really taking off and we've had many people refreshing their theory and in-water skills. Reactivate is a downloadable product to review the theory aspects of diving beforehand and then in-water there are 5 core skills to practise plus any additional elements that the individual feels they would like to review. It's a great way to get back in the water after a prolonged period of inactivity. 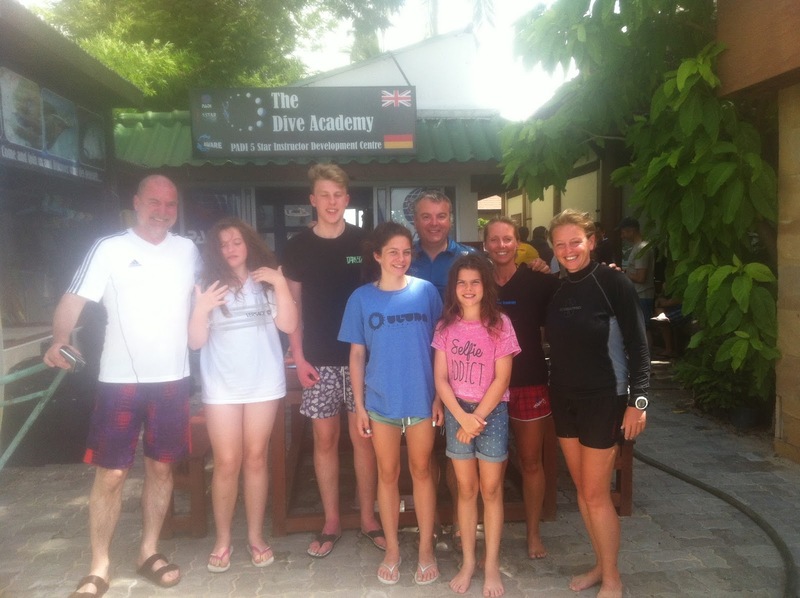 The PADI Open Water course is still the most popular PADI course and July was no exception. The Touch & e-Learning products are also proving very popular, with many people choosing to complete the theory for their course before they leave home. 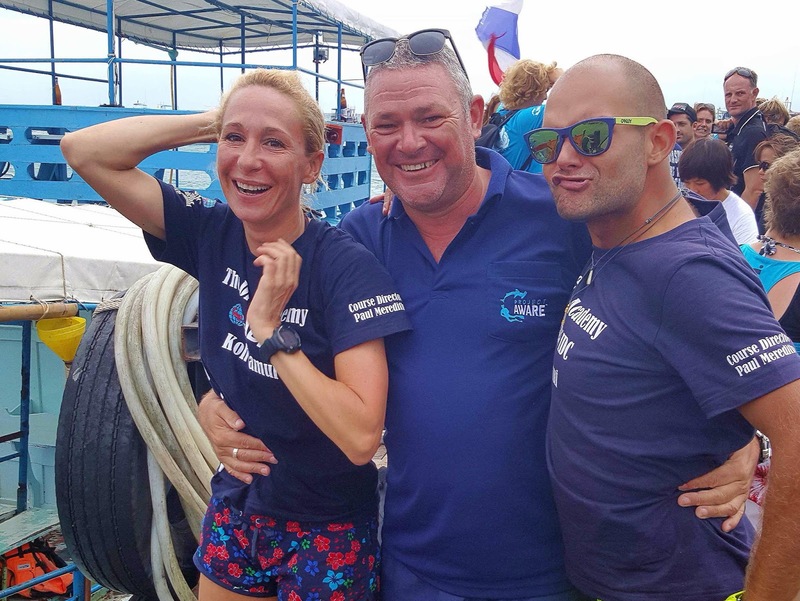 July also saw many Open Water referrals, from people not wanting to go in the cold UK waters, instead preferring the water waters of The Gulf of Thailand to complete their Open Water dives! 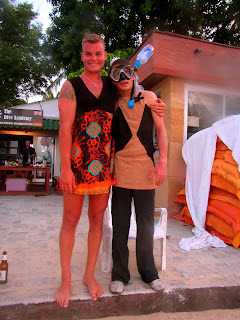 On the 18th July it was PADI Women's Dive Day. This was a sponsored event around the world to try and get more ladies diving. Currently only 38% of the diving population is female! So come on ladies, what's stopping you! On the Pro side of The Dive Academy, the July IDC produced 2 more new Instructors following a successful IE that was completed on Koh Tao. Well done Stephanie and Ekin, we look forward to working for you and in fact Stephanie has already completed her first Open Water course! 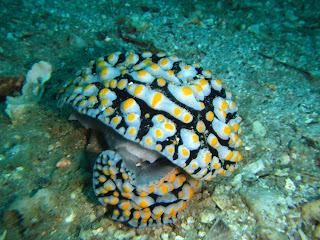 Eric also entered the professional diving world by becoming a PADI Divemaster. After 4 weeks of a variety of assessments, skill circuits and workshops and finishing with a snorkel test whilst wearing (very reluctantly) a dress and tiara, Eric made the grade and became a Pro. Last but not least, Timea our new permanent Office Manager joined The Dive Academy family. Timea is a PADI and SSI Instructor and has Dive Centre management experience already, having come over to Samui from Koh Tao where she was Office Manager for a German dive centre there. Come and say hi to Timea in English, German or Hungarian! Eric teaching Serena different knots! 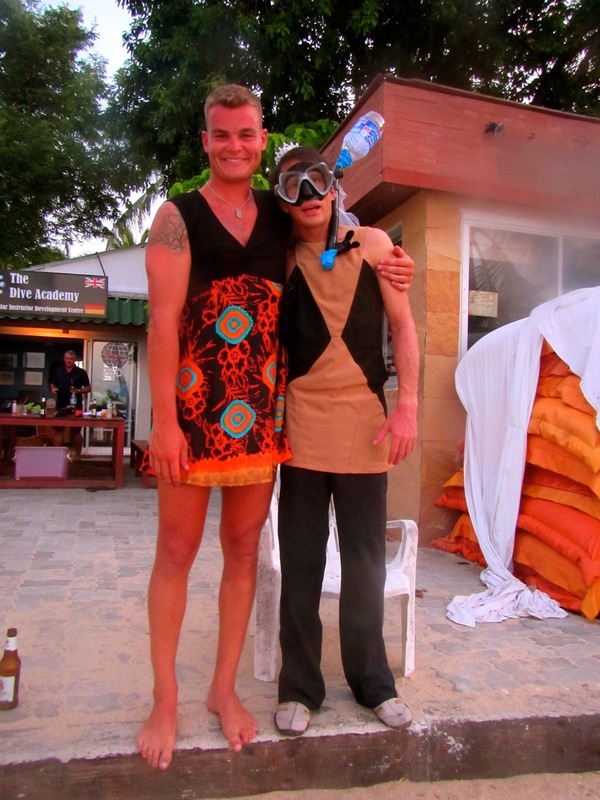 Eric during his snorkel test, looking less than impressed about his outfit - Dan on the other hand.....look at those legs! 2 new happy Instructors with their equally happy Course Director!